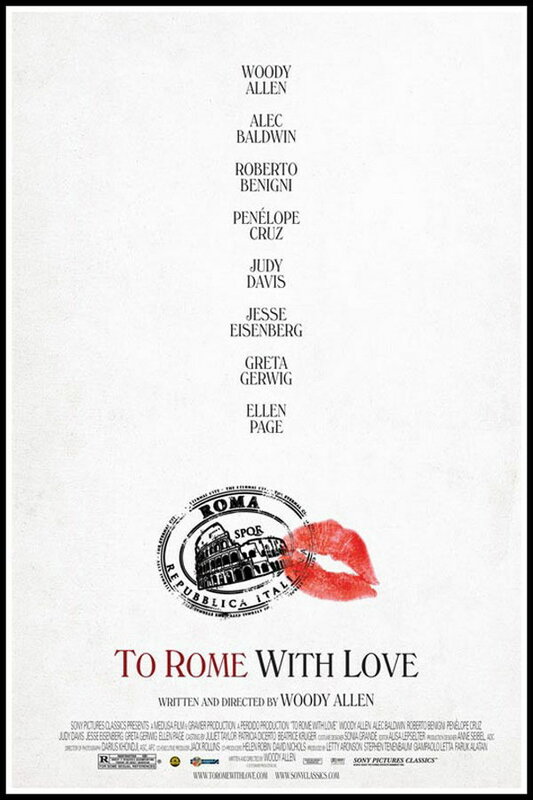 To Rome with Love font here refers to the font used in the poster of To Rome with Love, which is a 2012 magical realist romantic comedy movie that follows four stories that are unrelated in plotlines taking place in Rome, Italy. The font used for the movie title in the poster is probably Windsor Light Condensed. Windsor is an old style serif display typeface originally designed by Eleisha Pechey in 1905. The font is a commercial one and more details can be found here. In addition to To Rome with Love, Windsor typeface is also used in the following logos, movie posters or album covers etc., including: The Goldbergs (TV Show), You Will Meet a Tall Dark Stranger, Branded Man, Cup Noodles, Different Class (Pulp), Cheesecake Factory, Blue Jasmine, The Diary, Midnight in Paris, More Than a New Discovery, A Christmas Story, Whatever Works.